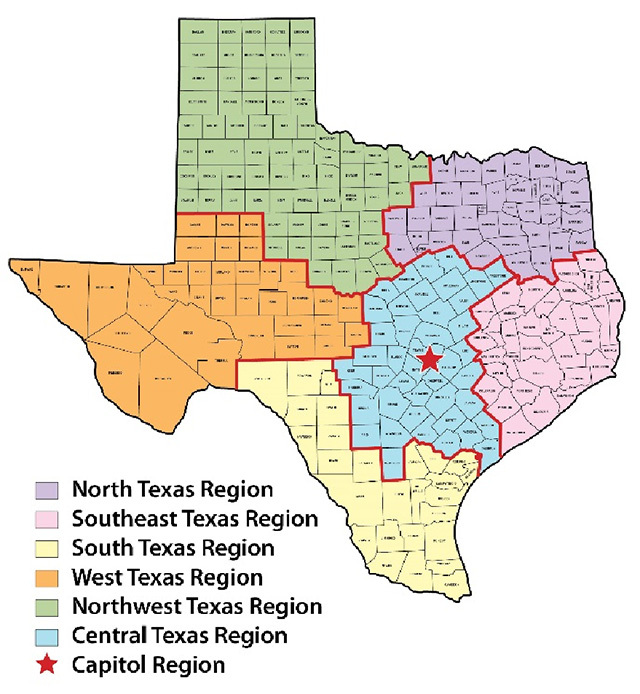 AUSTIN – The Texas Department of Public Safety (DPS) today announced the launch of seven regional social media accounts, covering every corner of the state and all seven DPS regions, including North Texas, Southeast Texas, South Texas, West Texas, Northwest Texas, Central Texas, and the Capital Region. This expanded social media network will complement the existing DPS social media channels (Facebook and Twitter) and further connect the department with local communities. Each of the new Facebook and Twitter accounts for the seven different DPS regions will provide the public with information specifically tailored to the individual area. Social media posts that Texans can expect to see on the new regional accounts include public safety news, helpful tips, department activities, and accomplishments, and community involvement.